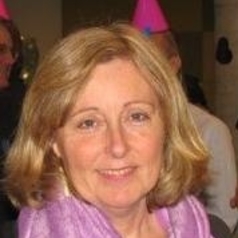 Deborah Cotton has worked as a lecturer at UTS since 1992. Prior to that she worked in stockbroking in Sydney doing both research and client advising. Currently Deborah has a PhD in Applied Finance and Actuarial Studies from Macquarie University with the thesis topic Efficacy of emissions trading schemes in Australia. Deborah is the Deputy Head of the Finance Discipline Group in the Faculty of Business. Her current research is in climate change, sustainable finance and impact investing.